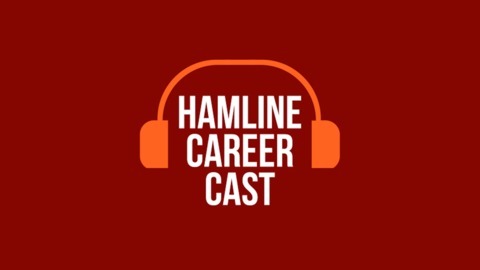 Hamline University's Career Development Center podcast. 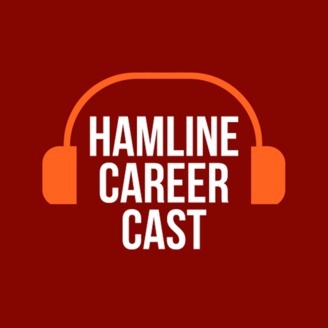 Our bi-weekly podcast features current student voices and ways for them to enrich their time at Hamline, the insights of recent graduates, tools and resources presented by staff and faculty, area employers, special topics and much more! Get to know us better at hamline.edu/cdc. Catherine Jacobson (Piper of 2017) is currently a second year Master of Public Health student in Administration and Policy as the University of Minnesota School of Public Health. In this week's episode - the first of season 2!! - she sits down with Masha to talk about how her education at Hamline connects with her graduate school studies and her goals for the future. Catherine's career and passion has a focus on health policy, health equity, and disability rights. She has had six internships revolved around local, state, and federal policy across various sectors. Catherine is a recent graduate of Hamline (2017), where she earned her Bachelor of Arts in Public Health Sciences and Social Justice. During her time at Hamline Catherine was extremely involved in multiple student organizations. Get to know more about her story by listening to this episode and reach out to Catherine on LinkedIn! End of Season 1/Introducing Ayn Rassier!